NewBiz is a responsive, creative and modern corporate business Bootstrap template. 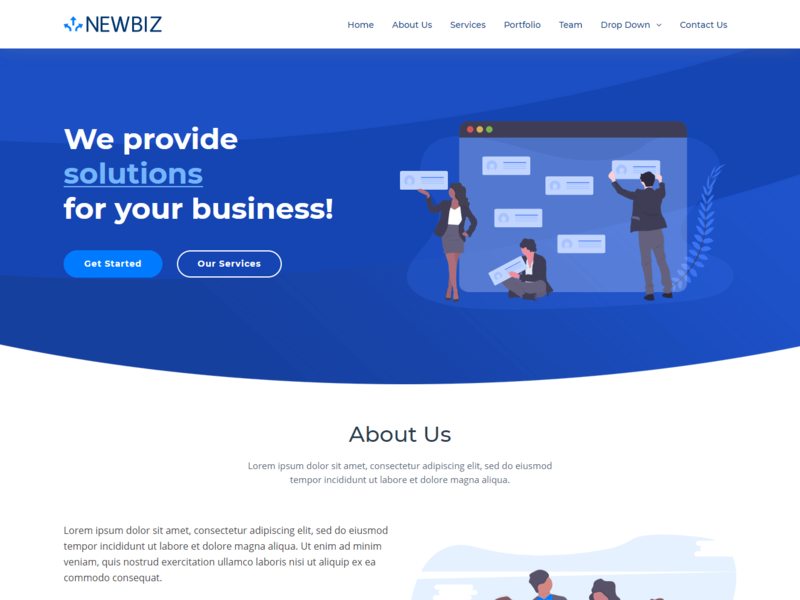 You can use the NewBiz template for many business types like: corporate, SEO/SMO, digital marketing, consulting, digital studio, software mobile app and more. NewBiz is a one page template with the latest web design trends for today’s technical era. NewBiz is well structured and very easy to customize. Fully responsive and works well on all mobile devices. Comes with handy off-canvas mobile menu for easy navigation in mobile devices. Creating new websites with the NewBiz template is definitely easy and fast process. If you need to launch your website in no time, NewBiz definitely is a good choice.